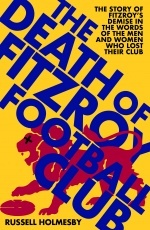 On the eve of the British & Irish Lions Australian tour in June 2013, renowned rugby writer Sean Fagan brings to life the dramatic story of The First Lions of Rugby—22 young footballers who embarked on a high-risk, non-sanctioned tour of Australia in 1888. A haunting tale of tragedy and triumph, The First Lions of Rugby tells the story of the remarkable team which changed rugby forever. Across 54 matches, the young Lions battled it out against the best rugby teams Australia and New Zealand had to offer. 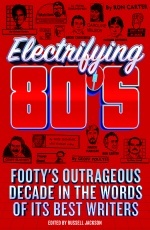 Then, in a forgotten chapter of sports history, they turned their prodigious football talent to Australian Rules, taking on the top clubs of Melbourne and Adelaide, and stepping into the middle of a ‘code war’ for national ascendancy. However, the tour was marred by tragedy when a boat accident claimed the life of the team’s captain, Bob Seddon. Despite their grief, the team rallied to continue the tour, encouraged by messages of support from across Australia. Having departed England in controversial circumstances, the Lions returned home bathed in glory as trailblazers and visionaries. A stoic lot, the team had overcome adversity to set down the foundations for a wonderful tradition—the rare but special event of a British & Irish Lions tour. On the 125-year anniversary of that inaugural tour, The First Lions of Rugby describes in great detail and perspective one of the most enthralling events in sports history. Sean Fagan is a renowned sports historian who has written for daily newspapers, websites and sports magazines, including Inside Sport. He has appeared in television documentaries including A Century of Rugby League. A highly regarded writer on the history of rugby league and rugby’s first century, Sean Fagan is the author of The Rugby Rebellion: The Divide of League and Union and The Master: The Life and Times of Dally Messenger. 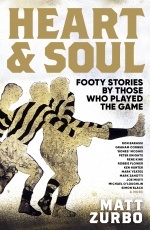 Read an extract from The First Lions of Rugby that appeared on Australian Football. Read a story from The Sydney Morning Herald about Robert Seddon which Sean Fagan assisted with. 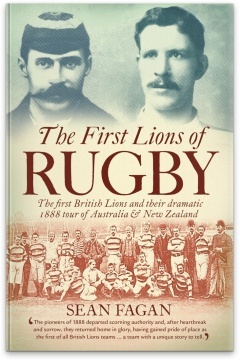 The First Lions of Rugby book by Sean Fagan & the story of the 1888 tour featured in British newspaper, The Guardian. Read a story that appeared on The Roar. Read a story on The First Lions of Rugby on ESPN Scrum. Read a story that appeared in the The Sun Herald and The Sunday Age. Read a story that appeared in The Queensland Times.